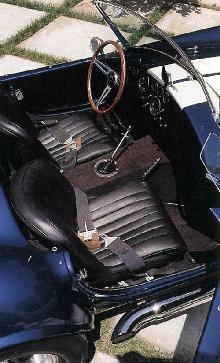 In 1965 AC introduced the 427 as a luxury alternative to its macho Cobra. The 427 used the same Ford 427 cubic inch V8 as found in the Cobra, coupled to a choice of either a manual or automatic gearbox. 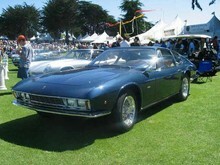 The 427 featured elegant bodywork designed by Italian coachbuilders Frau with a choice of open or closed coupe roofs. In 1967 the 427 became the 428 with the arrival of the tamer 428 cubic inch V8, which also came from Ford. The new engine was less powerful than before, although this is hardly relevant as it still boasted a staggering 345bhp. Production of the 427/428 series finally ended in 1973 after only 80 cars had been built.